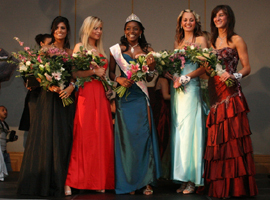 On Sunday 13/05/07 took place the election of Miss Brighton in the Grand Hotel. Thirty girls competed for the title. Tino Bvumbe-Leonard was the winner and she will be representing Brighton in the Miss England election in June. Visit www.modelUk.com for more information on Miss Brighton and other beauty contests. See Miss England official site for more information about Miss England.